PRICE REDUCED AGAIN! Motivated Sellers. 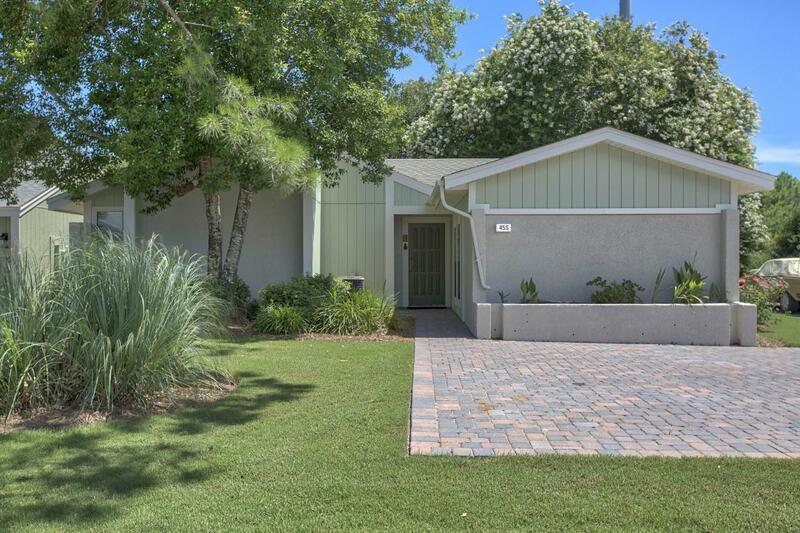 This 2-bedroom, 2 bath Linkside cottage is centrally located in the gated community of Sandestin near all of the many amenities that are available including golf courses, tennis courts, bayside marina, beach access, shopping, dining and more. There is also a convenient neighborhood pool for swimming. The exterior of this home has recently been painted and well maintained. Attractive brick pavers are installed in the parking area as well as the walkway to the entrance. The enclosed private patio, which also features brick pavers, is a perfect place for relaxing anytime. The interior of this cottage features hardwood floors in the living area, breakfast bar, a fireplace, ceiling fans,and 1400 square feet, all on one level. Offered Fully Furnished. Listing courtesy of Ocean Reef Realty Inc.